Edward Hugh Sothern was born in New Orleans. 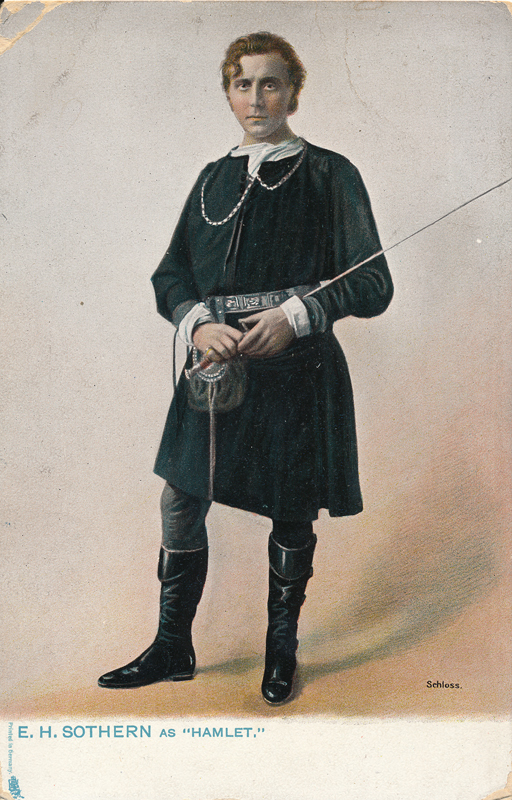 His first American stage appearance was at the Park Theatre, New York, in 1879. 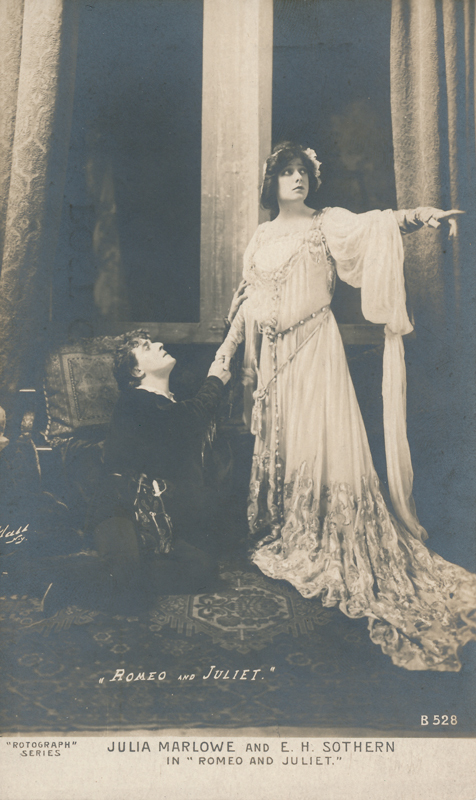 His first London appearance was at the Royalty Theatre in 1881, two years before returning to the United States. 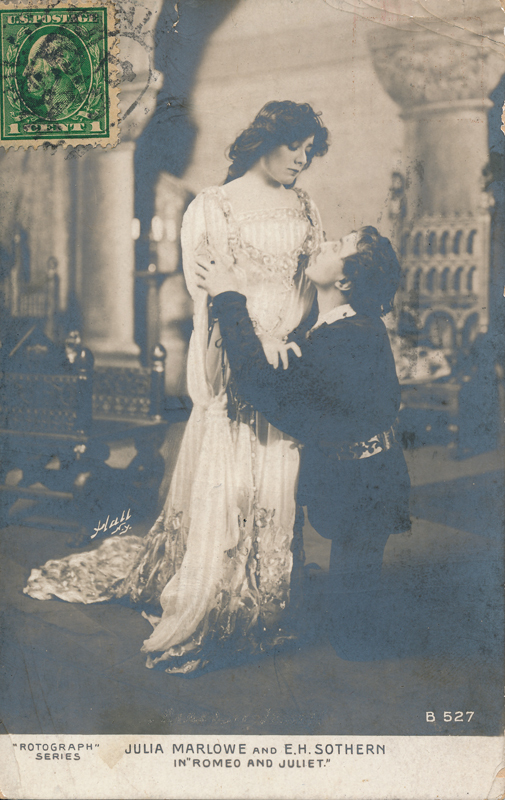 In 1900, he appeared in Hamlet, his first Shakespeare performance at the Garden Theatre in New York City. 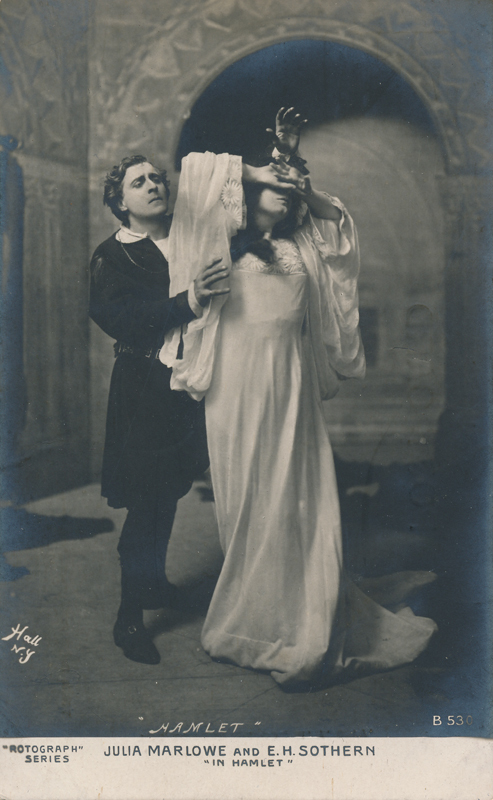 In 1904, Sothern first played with Julia Marlowe in Romeo & Juliet at the Illinois Theatre in Chicago. That same year, in repertory, he did Much Ado About Nothing and Hamlet. The next year, in Cleveland, he added The Taming of the Shrew and The Merchant of Venice. 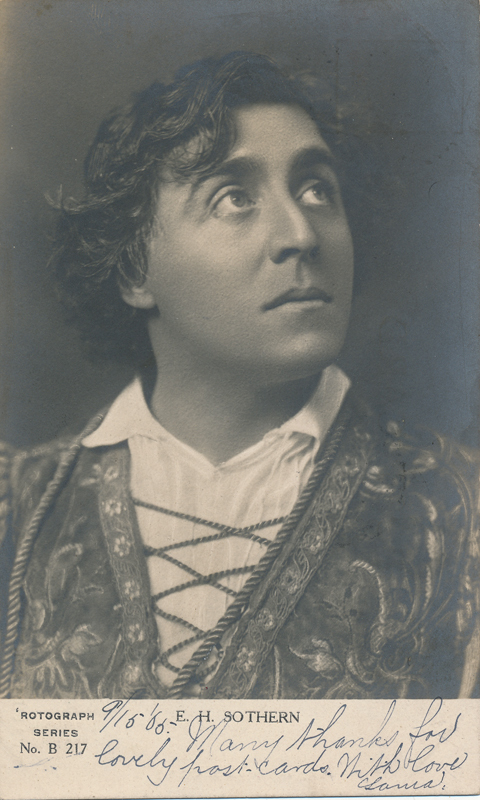 In 1905, at the Knickerbocker Theatre in New York, he played the same bill and added Twelfth Night with himself in the role of Malvolio. 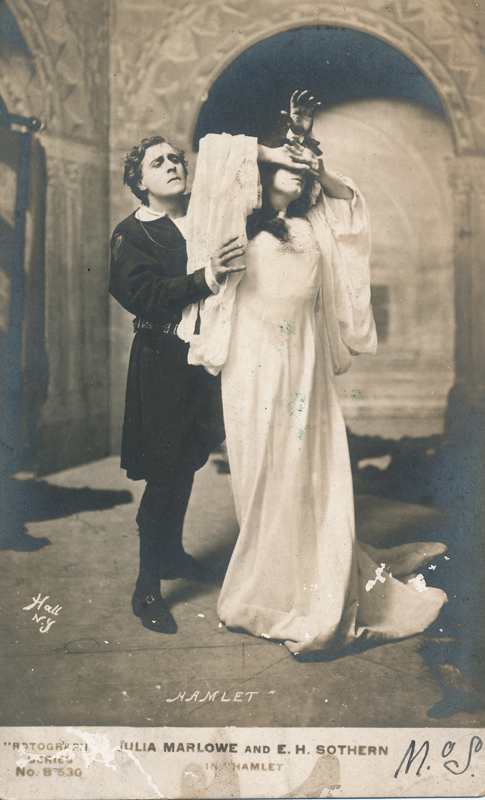 In 1907, he performed in the same four plays at the Lyric Theatre in New York. 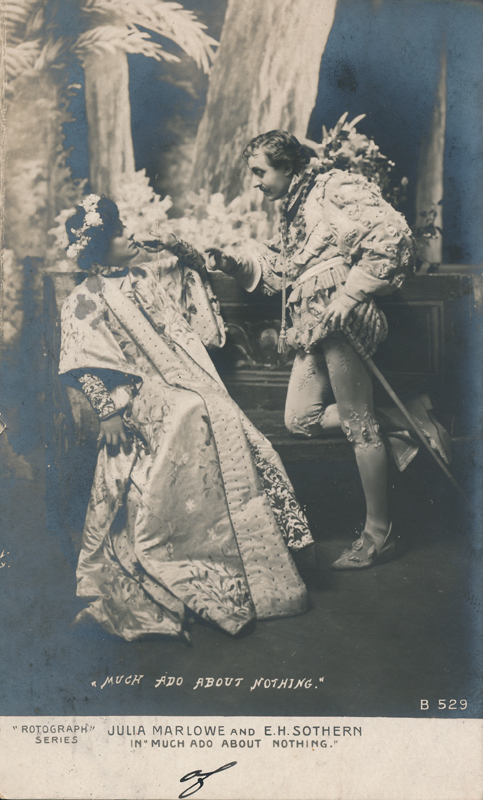 In 1907, he returned to England where he had a successful season with these and several popular non-Shakespeare plays. When he returned to the United States, he added Antony & Cleopatra opening at the New Theatre, New York. He and Marlowe then toured with their productions of Shakespeare. 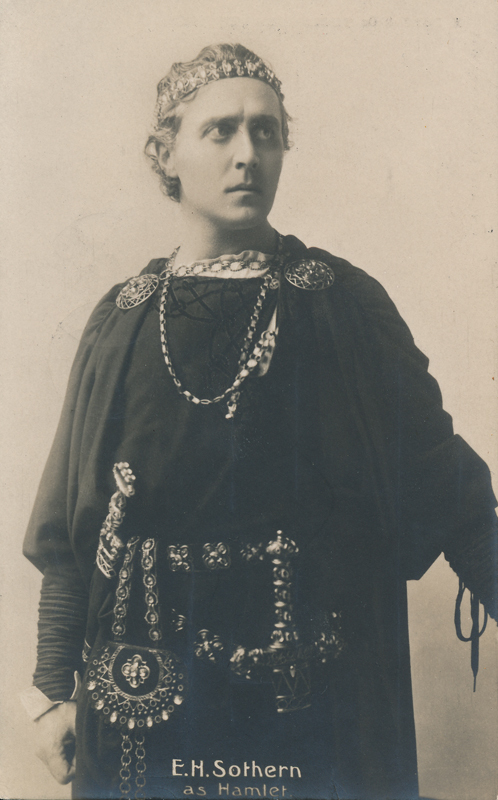 When he returned to New York and the Broadway Theatre in 1910, he played in Macbeth for the first time. 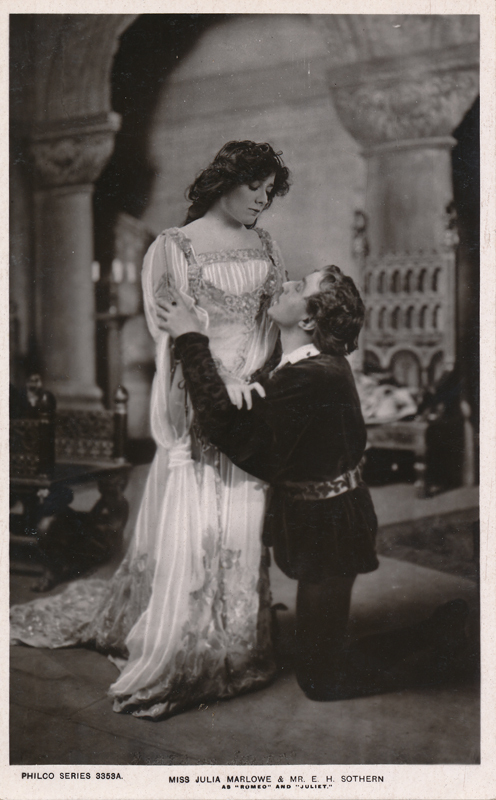 In 1911, he divorced his first wife and married Marlowe before the two went on to do many more Shakespeare plays together, including a tour in 1912-13. For a short time, they introduced Shakespeare to a much wider audience by performing many of his works at affordable prices at the Academy of Music in New York. 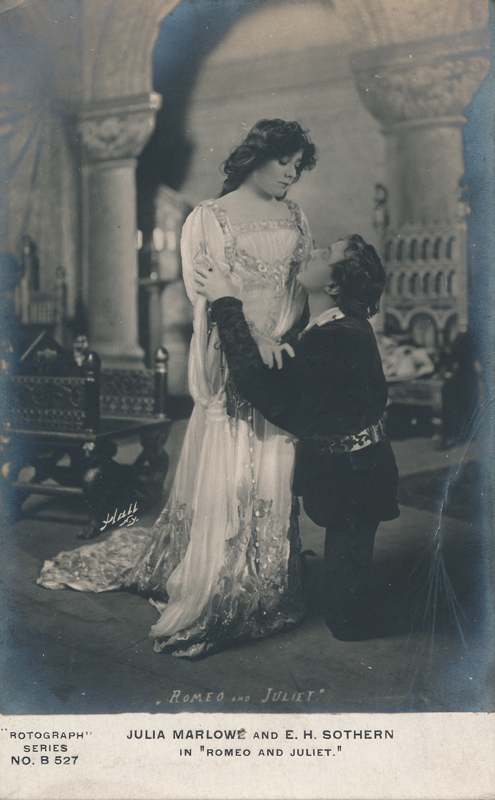 His final role in Shakespeare was as Leonatus in Cymbeline in 1923 at the Jolson Theatre. 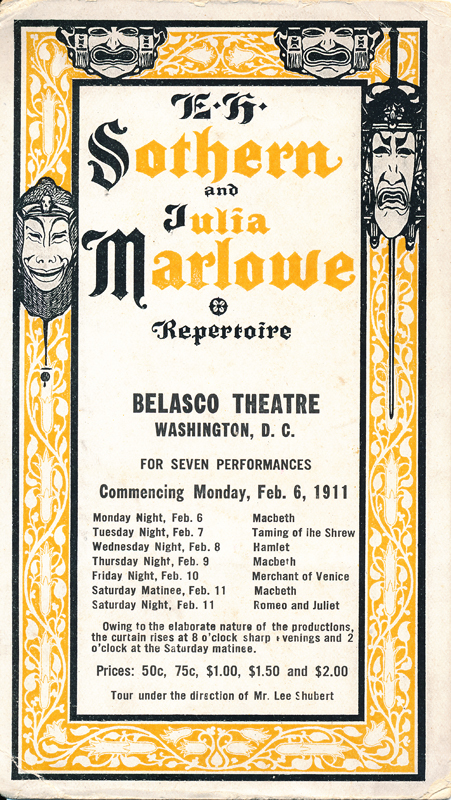 He then spent his time, beginning in 1928, traveling and lecturing on the many roles in Shakespeare that he and Julia had played.